R7 is Brazil’s second most-important website, seen in every region. It also boasts several million Portuguese-language readers on four continents. The Riviera Nayarit Convention and Visitors Bureau (CVB) continues its public relations efforts in Brazil through its on-site agency and the results are showing up in a big way. R7 is the second largest Portuguese-language website in Brazil and around the world. Its content is viewed in every region of this vast country, home to 193 million people; it has another approximately three million readers in the Americas, Europe, Asia and Africa. 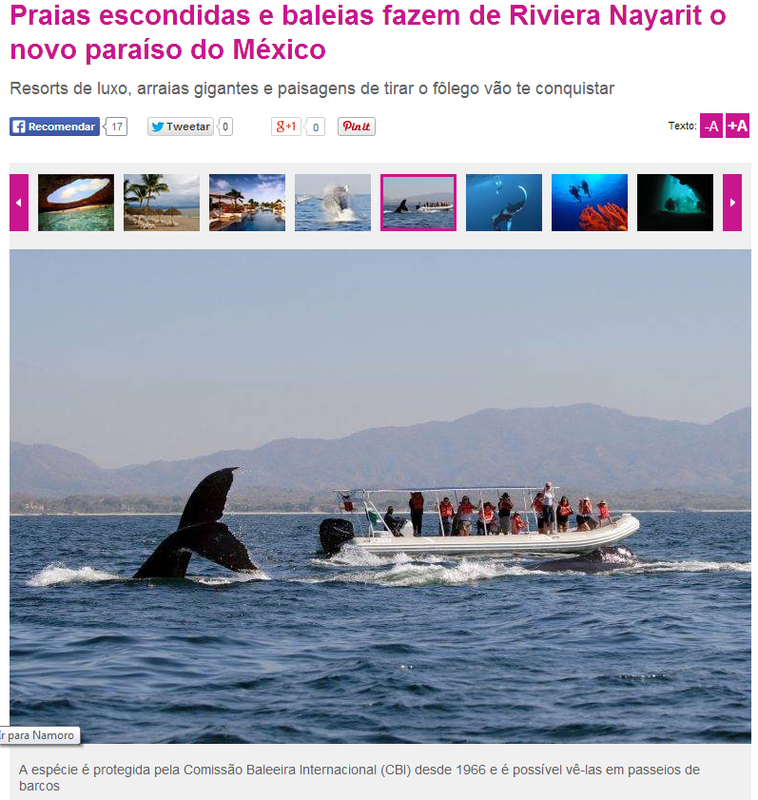 The public relations agency in Brazil has sent releases to the most important media in the country, where thanks to the positioning of the Riviera Nayarit (obtained through the synergy of marketing and promotions) it has received editorial space in this very important medium. The numbers on this page—which only lags behind Facebook, MSN, Google and UOL (the number one website in Brazil)—are very impressive: it has 500 million page views per month with 28 million unique visitors; 65% of its readers are SEC B, the other 30% are SEC A and SEC C.
The audience extends over four continents as it boasts nearly a million followers in the United States, several hundred thousand in the UK (both markets for the Riviera Nayarit), plus Portugal, Angola and Japan. The article generated on this site, which employs 150 reporters and another 300 people in different offices, was also published on Facebook, where it has garnered nearly 40 thousand “Likes” and has been shared by nearly 9 thousand users.